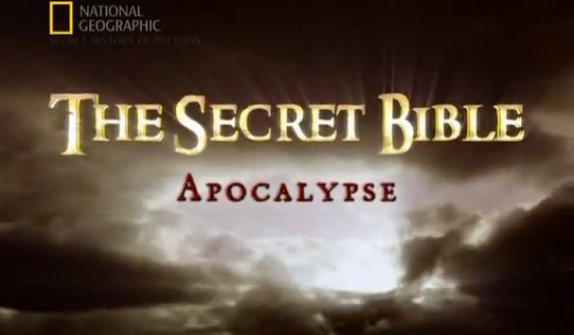 Bible Mysteries Revelation: The End of the World? Bible Mysteries is a series of programs exploring great figures and events from biblical times. Historical, archaeological and anthropological evidence combined with stylish drama re-enactments, CGI graphics and expert opinion offers a comprehensive exploration into some of the Bible’s most compelling people and stories and gives fresh insights into the historical realities of the times. Episode Revelations aka The Revelation The End of the World? – The Book of Revelation, the last book of the Bible, has fascinated and puzzled Christians for centuries. With its vivid imagery of disaster and suffering the Battle of Armageddon, the Four Horsemen of the Apocalypse, the hideous Beast whose number is 666 many have seen it as a map to the end of the world. Some say it predicts global warming, AIDS and even the Chernobyl nuclear disaster. But Biblical scholars, having studied the text and the social and political history of the time, have a different interpretation. A team of scientists joins forces with religious scholars to take a look at biblical tales of murder, miracles and mystery. The Bible is a repository for tales of miracles and divine interventions. But did any of the miraculous events described in this sacred book really happen as recorded? This remarkable series examines the great biblical stories and the passionate quests to understand them. This is the National Geographic Series. The Apocalypse – Is the Apocalypse at hand? Millions of Americans believe so, including scientists and members of Congress. Using the latest science, we examine the biblical prophecies of doom.